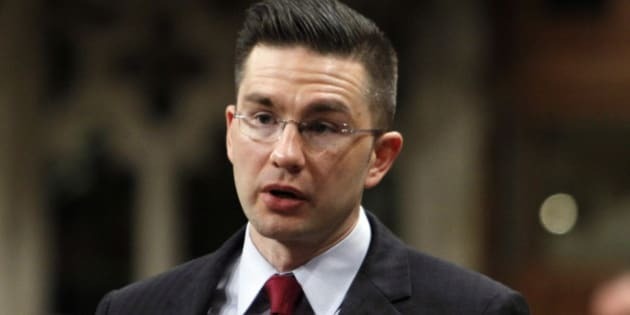 OTTAWA - The minister responsible for democratic reform says he's listening to the growing tide of outrage about the Harper government's controversial new electoral reform bill, but Pierre Poilievre would not commit to making changes. Doing the circuit of political television shows on Sunday, the junior minister continued to defend the overhaul and once again denied that he misquoted the author of a report the Conservatives have used to justify extraordinary measures in the legislation. Poilievre, appearing on both CTV's Question Period and Global Television's The West Block, said a House of Commons committee is only four days into hearings over Bill C-23, known as the Fair Elections Act, and it's too early to determine whether there will be any amendments. "We have over a month left," he told CTV. Opposition to the bill has been almost universal, with political parties, academics and editorial writers criticizing most aspects of the legislation. Poilievre tried to take some of the sting out the arguments with a reassuring tone, but gave no hint of compromise. "We'll keep listening to them, but I don't think there needs to be any panic," he said. 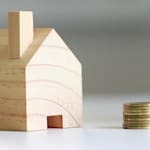 "There's plenty of time to consider all of these ideas and the committee will look at them and decide accordingly before the bill even comes back to the House of Commons for a vote." Hearings in Ottawa are supposed to wrap up by May 1st and New Democrat MP David Christopherson accused the Conservatives of intending to use their majority to bulldoze the legislation through Parliament before summer. They're counting on public apathy to kick in after the law is passed, he said. "That's the calculation," Christopherson said. "They'll take the hits now, all the hits that we're putting on them and from you, they take it all because they know by summer, it'll be forgotten. By Labour Day, it'll be ancient history and this won't come back again until Canadians want to know why the next election seemed to have been skewed in favour of the Conservatives." Former B.C. electoral officer Harry Neufeld, who authored a report often cited by Poilievre, told a Commons committee last week that his position on voter identification has been misrepresented and the minister has been “selectively reading and quoting” from it. Neufeld said his concern with irregularities revolves around administrative errors, not voter fraud. Poilievre said he's quoted Neufeld "verbatim." The bill would eliminate the practise of vouching at polling stations — something Poilievre said is only “fair and reasonable” in the minds of the public. “I think most Canadians would think it reasonable that when you go to vote, that you bring some identification to show who you are,” he said. Neufeld, speaking last week, recommended better training of elections staff to end vouching problems and more widespread use of voter information cards. He suggested as many 520,000 people could be hurt by the legislation and not allowed to vote. Poilievre shot back: "Well, that's just false." He went on to note that voters can bring 34 approved forms of ID which would allow them to cast a ballot. In addition to vouching, there has been widespread concerns expressed over provisions that would keep the chief electoral officer from communicating with the public except for when, where and how to vote.